Marcell Ozuna has four home runs in his last five games along with eight RBIs. 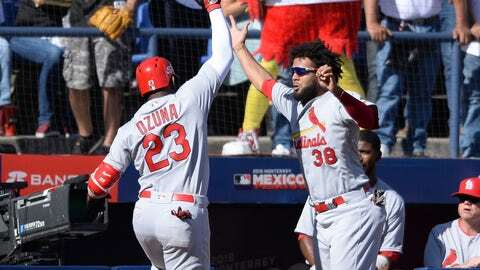 MONTERREY, Mexico — For Marcell Ozuna, the atmosphere in the Estadio de Beisbol de Monterrey made it feel like a home game. Not in St. Louis, but back in the Dominican Republic.